We aim at providing the best of education, that is necessary for the overall development of the student. 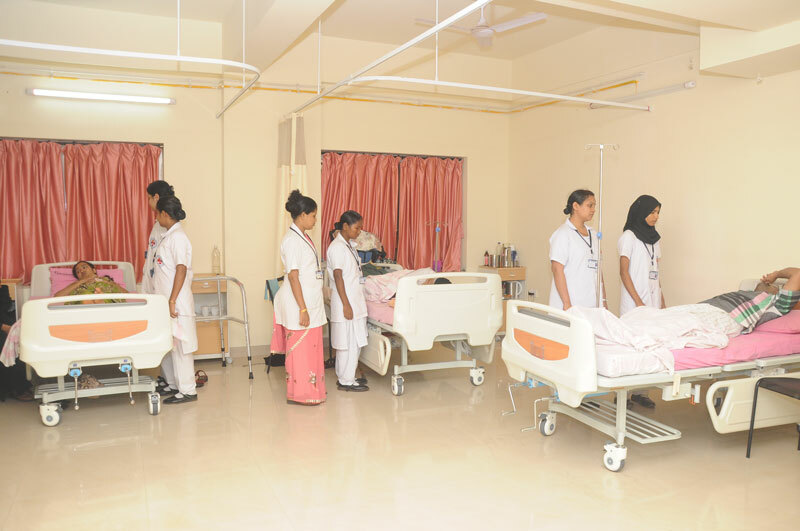 The Institution has very good physical infrastructure as per the Indian Nursing Council norms such as spacious and well furnished classrooms equipped with OHP, VCD, Television, slide projector and LCD projector. As per the INC norms the Institution is equipped with 7 laboratories. Fundamentals of Nursing Lab provides opportunity to the student to practice their skills in providing Nursing care to the patient. 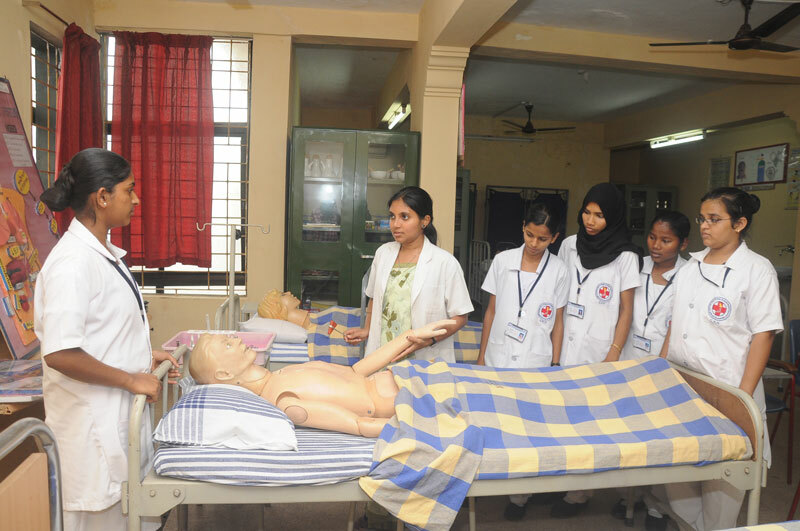 Fundamentals of Nursing Lab is well equipped with necessary articles required to carry out the clinical procedures. In Anatomy and Physiology Lab Students learn the structure & functioning of the body. Opportunity is been provided to handle the specimen, which gives them the first hand information. In Nutrition Lab students acquire knowledge of Nutrition for maintenance of optimum health at different stages of life and its application for practice of nursing. Here students plan the menu, calculate the daily calorie requirement as per the different categories of people, prepare the diet planned and present the menu prepared. Here the students are taught to use the bag technique for community service. Students are moulded and trained to provide Primary Health Care in the community. MCH Lab provides opportunity to the student to develop knowledge and skill in maternal and child care. Here the students are trained to care for mother & child various models, charts specimens, manikins are made available to practice the skill. Audio Visual Aids initiate, stimulate & reinforce learning. Audio Visual Aid provides opportunity to the students to handle and manipulate. Audio Visual room is equipped with Over Head Projector, Slide Projector, T.V, D.V.D etc. 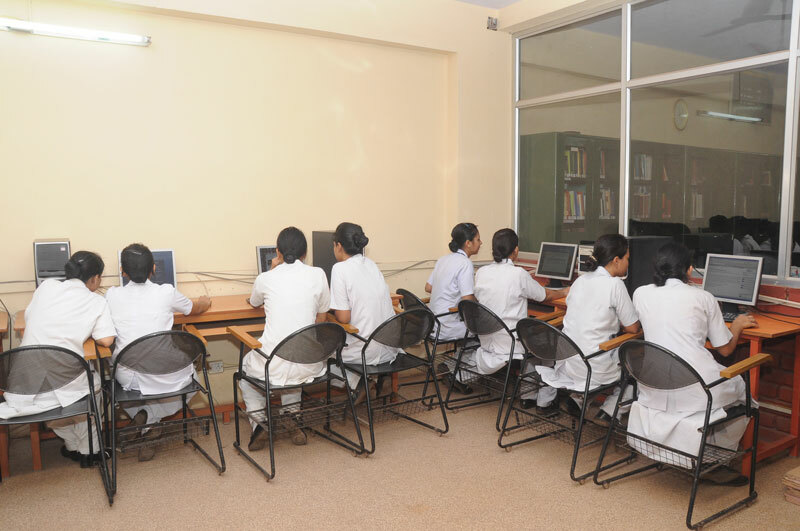 An elaborated computer lab with the latest version is made available. Students can make use of internet facilities. We have well experienced teaching faculty, which is a boon to the institute. The faculty believes that our primary responsibility is in motivate and prepare our students to be effective nurses. We ensure that our staff members regularly update themselves with the constant changes that occur in the field of nursing. Knowledge is like a flowing river. Books are an asset in the life of students and teacher. 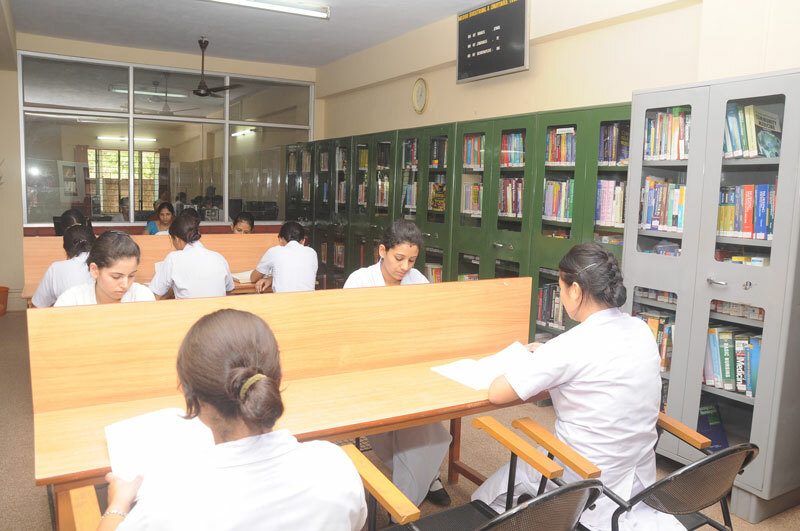 Reference and study materials is made available to the students in the form of a well stocked library with books, journals, periodicals and magazines of Indian and foreign editions. Accordingly e-journals and e-books are provided under Helinet constorium digital library. Students are exposed to rural and urban areas as prescribed by INC syllabus. At the initial stage, students will be posted in Govt. Wenlock Hospital, Govt. Lady Goshen Hospital and private hospitals such as Indiana Hospital and Krishna Nursing Home where the students will have the privilege of serving people from all walks of life. Students obtain general clinical experience from Govt. 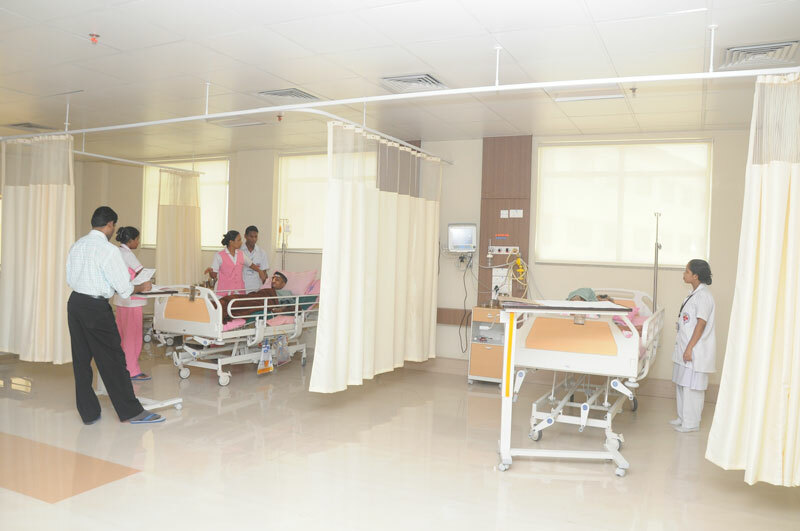 Wenlock Hospital, which is one of the best general hospitals boasting of a bed strength capacity of 750 beds, besides having both surgical and medical departments like Neurology, Cardiology, Urology, Dialysis, E.N.T., Paediatrics, burns, O.T. Physiotherapy and Dental. MCH training from Govt. 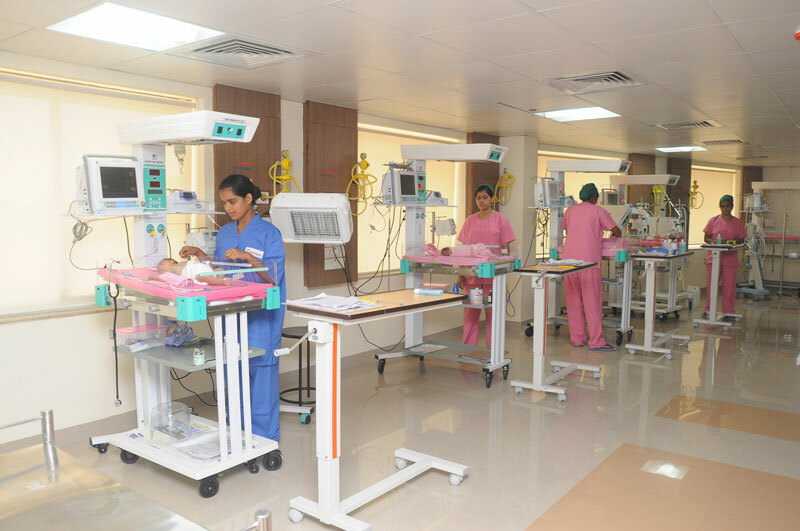 Lady Goshen Hospital which is the largest Maternity hospital in Mangalore, with a bed strength capacity of 260 beds offers services like antenatal care, post-natal care, neonatal care, conducting labour and family planning programes. The institution is affiliated to Indiana Hospital which is a super speciality hospital with a bed strength of 300 beds. 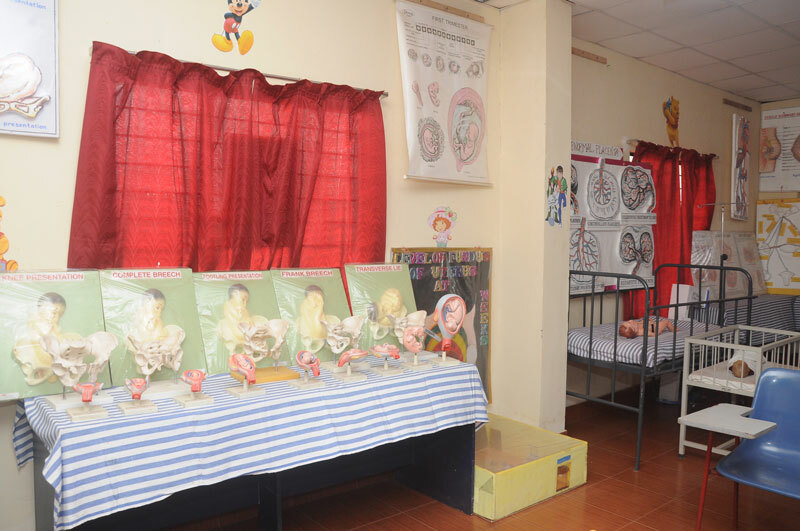 The institution is affiliated to Krishna Nursing Home with a bed strength of 50 beds. 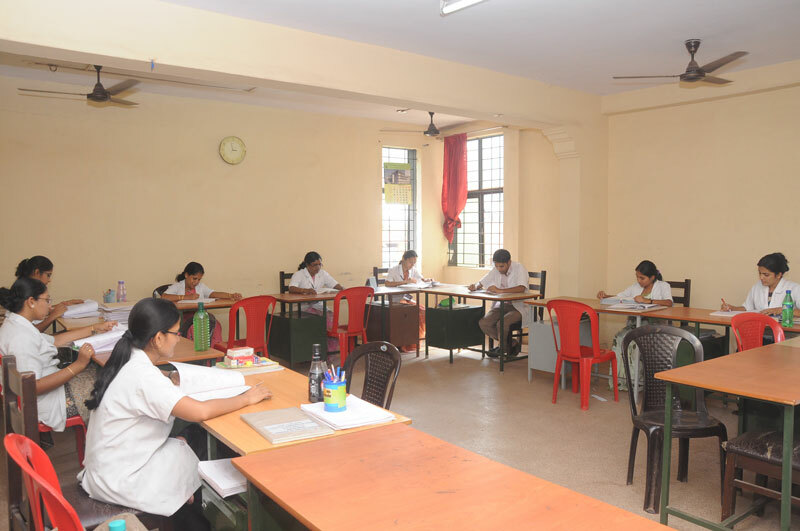 During admission every student will undergo a medical examination. An annual check up will be done for all students. Vaccination against Hepatitis B and any communicable diseases, if necessary, will be provided. 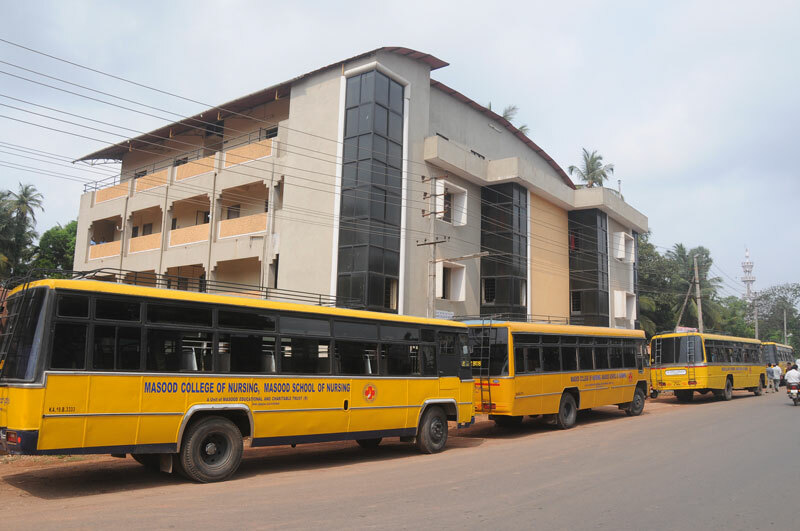 The Institute owns a fleet of well maintained buses for the transportation of students to hostels, hospital, college and community postings. 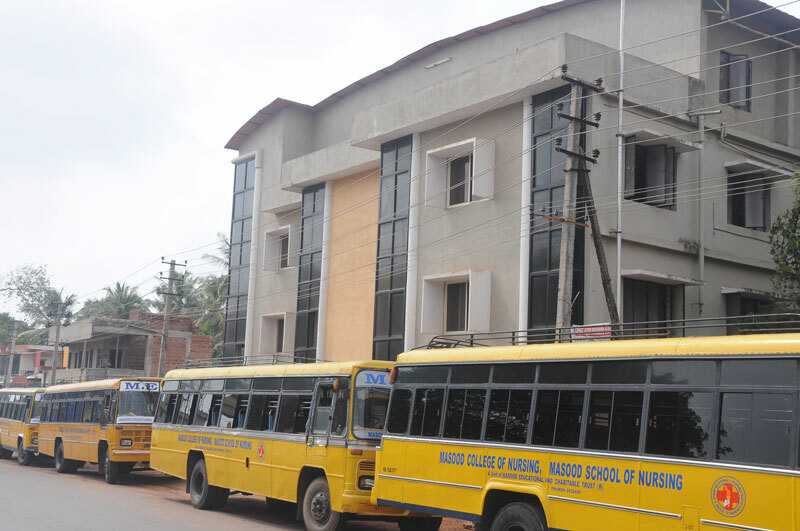 The college/School provides hostel facilities for all the students. Separate hostels are provided for boys and girls. Hostel stay is compulsory for all students. All the hostels have spacious rooms. 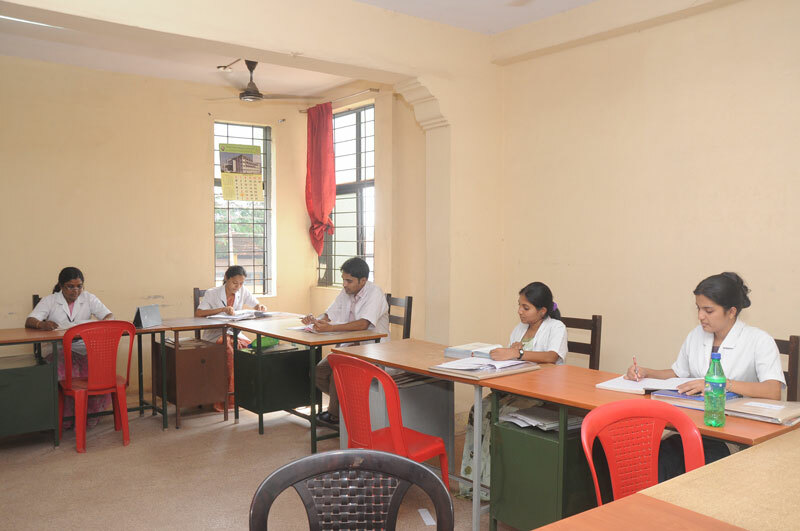 Each student is provided a cot, table, chair and locker. All the inmates are provided with breakfast, lunch, evening tea and dinner. 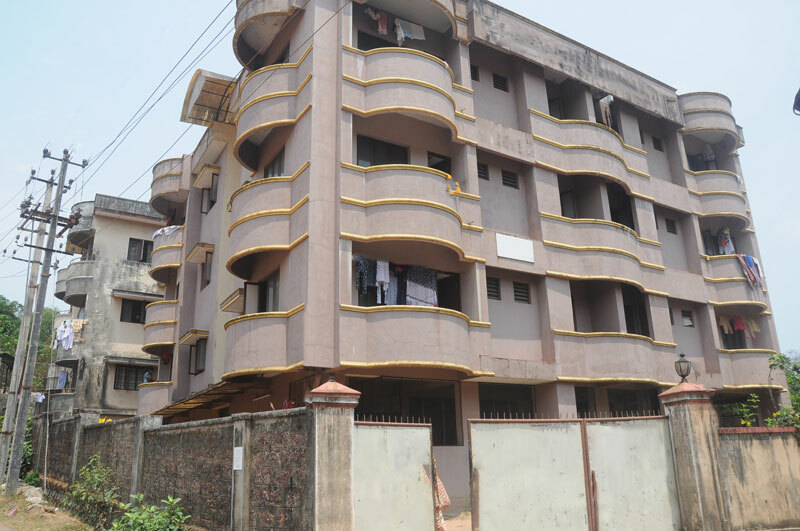 The management provides recreational facilities like T.V, Newspaper, Magazine, Indoor and Outdoor games. Telephone facilities are made available to the students. Medical facilities are provided, whenever the student is ill. The management is concerned about the hygienic aspects in relation to the cleanliness of hostel and hygienic preparation of the food. 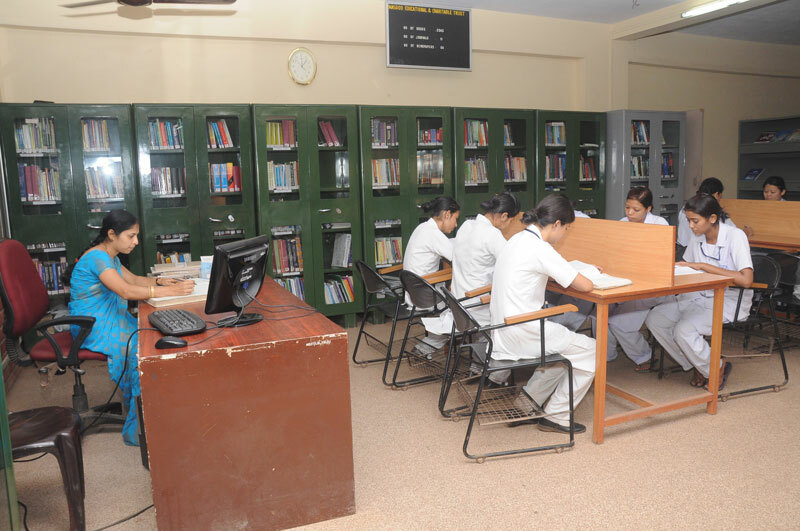 A Homely atmosphere is provided to the students. 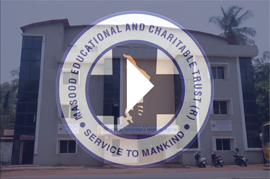 We ensure all round development of the students with special emphasis on human, moral, psychological, cultural, intellectual and spiritual aspects, which are required for the formation of a professional nurse. Students have ample opportunities to participate in cultural and sports activities and to develop skills and talents at various levels. Talented students are sent to participate in collegiate, university, local, state and national level competitions. Various activities such as sports day and cultural fests are being conducted forthe growth of the student.